Portlanders dig their cars out of the snow in a lot on Park Avenue on Thursday, March 8, 2018, after an overnight parking ban. Winter is getting in at least one more hit. After several days of moderate and above average temperatures, a hard-hitting storm is blanketing the state in a fresh coat of snow. 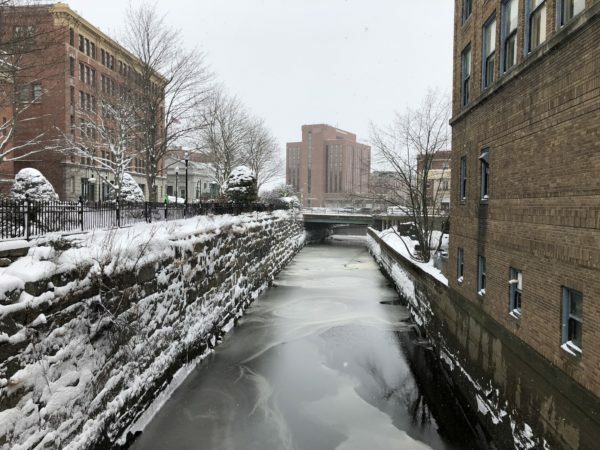 As the storm develops, follow our live storm blog as our reporters and media partners bring you the latest updates from across the state. Maine Center for Disease Control & Prevention has good advice for how to clear snow from front walks, sidewalks, etc. You got that right, Adam. The Kenduskeag considers refreezing but doesn’t. BDN photo by Callie Ferguson. Our BDN metro reporters are out looking for a scoop, or a hot cup of coffee. 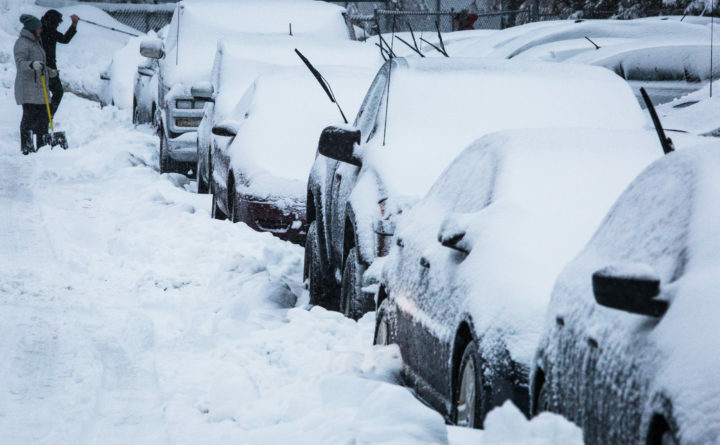 Do you know how much a shovelful of wet snow weighs? We do. Click here to learn the answer. Outages in Hancock and Washington counties have climbed to nearly 2,400, Emera Maine reports. Here are the latest snowfall totals from across the state. The city of Sanford’s currently in the lead, with 18.5 inches. Final #noreaster shovel report for the State of Maine. A spate of outages are being reported across York County this morning. Interstate 95 in New Hampshire has reopened, according to the Maine Turnpike Authority. Earlier this morning, the storm brought down electrical wires over I-95 in Portsmouth, according to ABC affiliate WMTW. Just when you think it’s over. 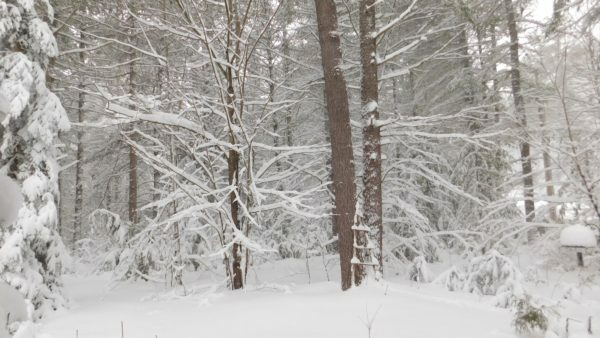 The National Weather Service reports that another storm will hit Maine Friday night into Saturday, but the bulk of the snowfall will be concentrated in northern Maine, where more than 4 inches is expected. Bangor could see less than 1 inch from the storm’s southernmost fringe. #DEVELOPING: A plow truck has crashed into an utility pole on River Rd. in Livermore. (: Mike Shea) Be careful out there everyone. 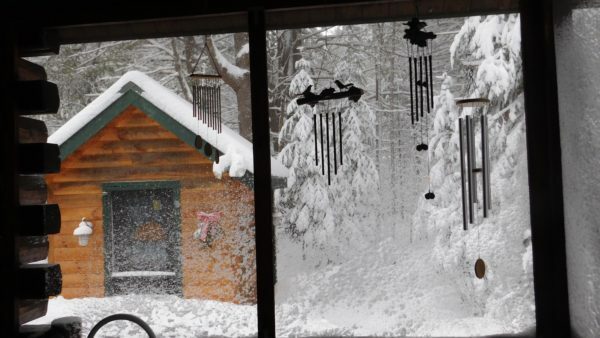 Another snow photo from Harrison by BDN business writer Lori Valigra. BDN business writer Lori Valigra took this shot in the woods in Harrison. 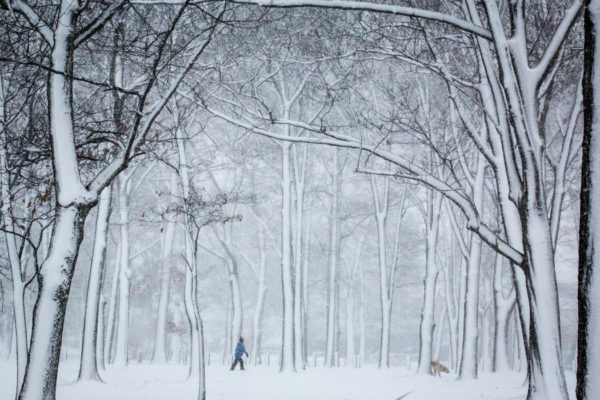 Make the most of your snow day! Here’s a look at the snow-related damage around Portsmouth. Already, 18 inches of snow has piled up in Sanford, and snow will continue to fall in York County for another couple hours. Tired of plows filling your freshly shoveled driveway with snow? 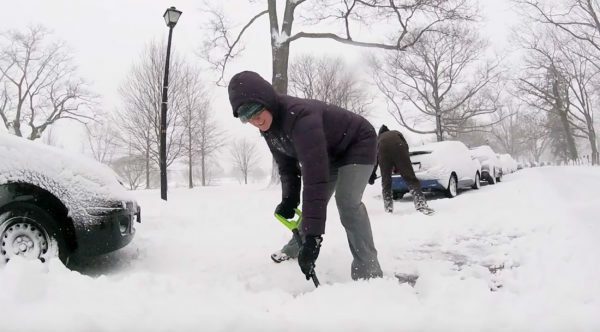 Well, here’s a tip to help you avoid reshoveling your driveway after the plow goes by. Jasper loves the snow, and we love Jasper. Emera Maine is reporting widespread power outages this morning as a result of the nor’easter. About 1,900 customers in Hancock and Washington counties are without power, the utility reported this morning. Emera Maine says it will work to restore service as soon as possible, but difficult travel conditions may slow crews’ response. Be cautious if you must hit the road today. Whiteout conditions are being reported along the interstate corridor. Most meteorologists measure snow depth in inches, but one Maine resident found a sweeter measurement system. Due to the storm, all state offices are closed today, according to the governor’s office.